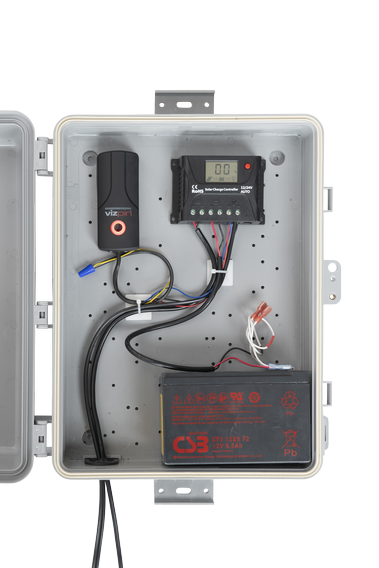 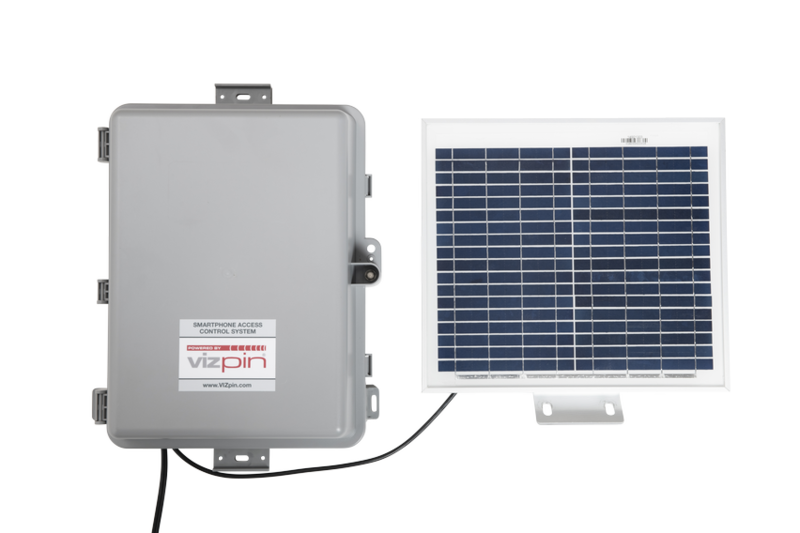 The VIZpin Solar Kit is a self-contained outdoor access gate controller that is perfect for pedestrian and pool gates or any installation where it is difficult or expensive to install electrical service. Designed for use with any 12VDC gate or latch, the VIZpin Solar Kit provides continuous service with just 3 hours of sunlight each day, or 650 activations with battery only. 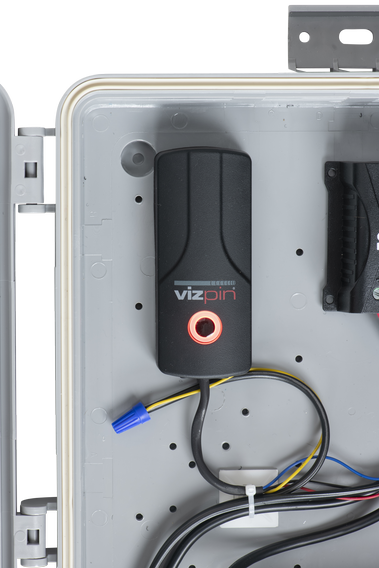 VIZpin PLUS is our full-featured access management software/service that lets you grant and revoke Smartphone Keys with custom schedules. 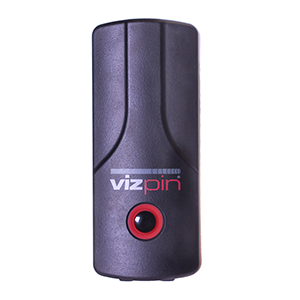 It includes the first 1,000 Smartphone Keys and and stores 30 days of activity history. 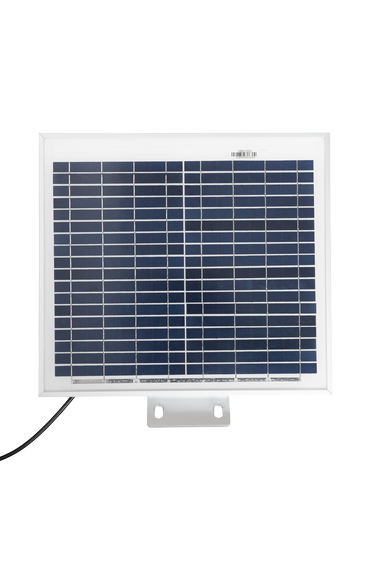 To upgrade to the PLUS service/software, after purchasing the solar kit online (click “Add to Cart” on this page), please call +1 717-327-4244 or email us.